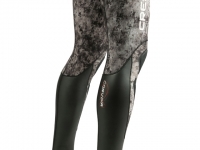 Spearfishing-Shop - Spearfishing and Apnea - Wetsuit Cressi Corvina 5 mm. 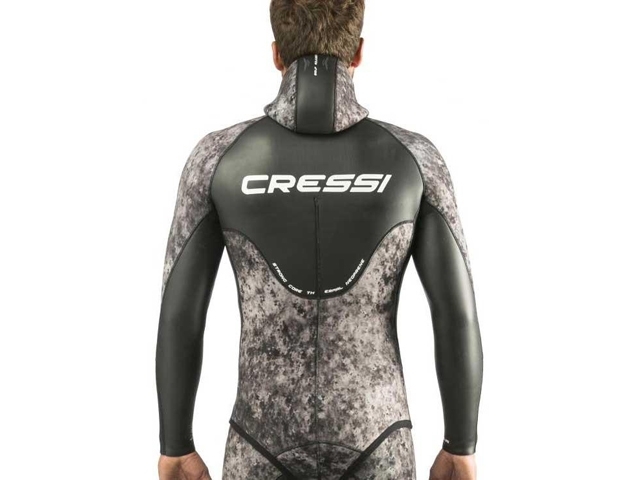 Wetsuit Cressi Corvina 5 mm. 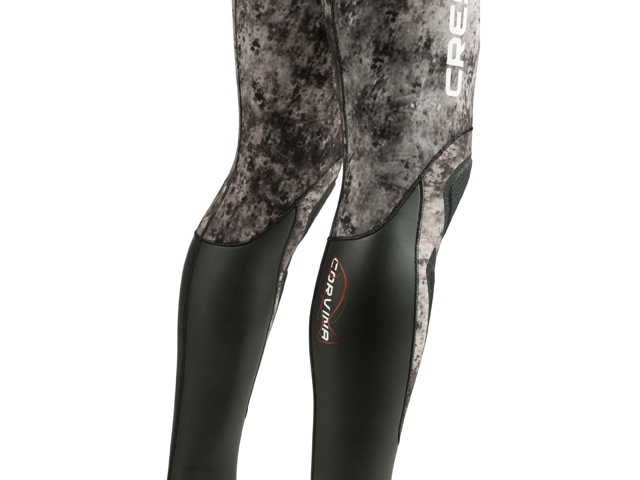 • Wetsuit featuring Cressi’s new Camouflage material with Black/Grey colour tones. 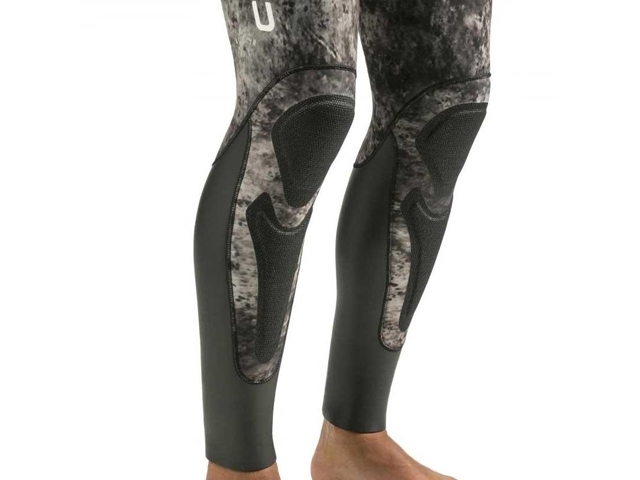 • For effortless breathing and wearability, the most sensitive areas use a new smooth, dual layer neoprene called "Two-Ply Neoprene", which is highly flexible, has great thermal power, and at the same time is very study and durable. • This neoprene in fact has a 1 mm thick outer layer and a 4 mm dual inner layer separated by a structural elastic lining. • Thanks to this technology, it may be sewn to obtain strong seams and will not tear. 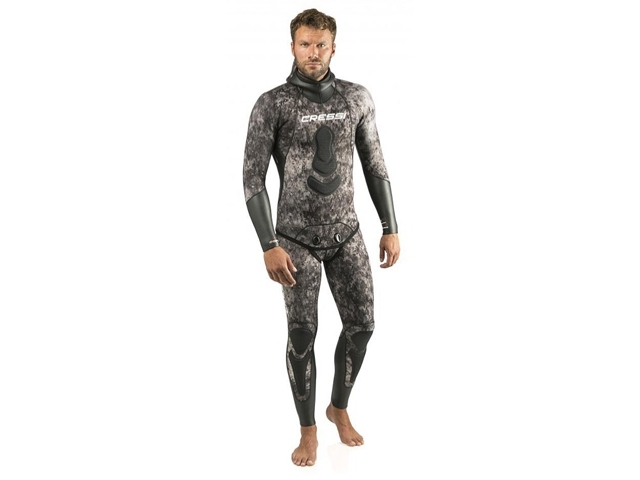 • The wetsuit benefits from a zone system, named “Self Adjusting System”, that facilitates breathing and at the same time ensures excellent insulation, even in a strong wind. • The design is rigorously anatomical. • Protective reinforcement on sternum and knees. This Product was added to our catalogue on Friday, 06. April 2018. 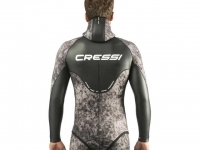 Main page » Catalogue » Wetsuits - Camouflage » Wetsuit Cressi Corvina 5 mm.